I’m very pleased with the enhancements taking place in our community parks in the South Winnipeg-St. Norbert ward. These important greenspaces are very popular in our communities! My thanks to Richard Kamchen for covering this story! Some big changes are coming to King’s and Kirkbridge parks, with the most ambitious being a fresh water fountain and waterfall at King’s Park. “King’s Park is a regional park, and that means it’s a larger park and it’s to service the region — the south quadrant of Winnipeg,” says Janice Lukes, councillor for South Winnipeg-St. Norbert. The park previously drew water from the Red River to fill a small stream and a man-made pond but its muddy contents proved too challenging for the pumps. When the Red River water source idea was abandoned, melted snow and rainfall were all that were left to supply water, and areas would dry up as summers progressed. 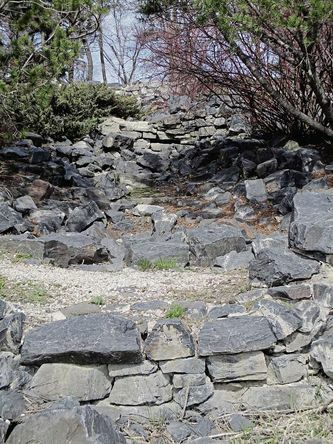 Now the city will be drilling a well to provide water to a fountain at the top of a rocky incline that will cascade to fill the pond again, which will be welcomed by dog owners and bird watchers. “I’ve held multiple community consultations on it and the fountain was what people wanted to get going again… The whole park has been designed around the fountain,” says Lukes. She expects work to start around June and to be completed before the fall. At Kirkbridge Park, July and August will see a complete rehabilitation of its asphalt pathway, tree planting and bench installations. Pathway distance markers will also go up as part of phase one of a three year plan. “It’s a heavily used park… Our ultimate goal is to get an upgraded play structure in there,” Lukes notes. She’s aiming to do that next year but it’s yet to be determined if it’ll be a play structure next year and extended park lighting in year three, or the other way around. Read more by Richard Kamchen – Community Correspondent.